About 200 journalists in Myanmar's capital Yangon staged a march Tuesday to protest against what they called new threats to media freedom following the jailing of a reporter from a newspaper which had highlighted judicial corruption, activists said. They were joined by activist groups, parliamentarians, and lawyers concerned that the government of President Thein Sein will reimpose media controls even as it implements political and economic reforms after decades of harsh military rule. The Myanmar Journalist Network, which organized the protest, said they went ahead with the march because the government had not responded to a letter from the group protesting the jailing of Ma Khine, a journalist with the Yangon-based award winning press group Eleven Media, who was ordered in December to serve three months in prison for trespassing, criminal defamation, and using obscene language. She is believed to be the first reporter to be jailed since Thein Sein’s reformist government began releasing jailed journalists and lifting long-standing media restrictions in 2012. Last week, press reports revealed more about the National Security Agency's (NSA) elite hacking unit, the Office of Tailored Access Operations (TAO). The press also helped the public grasp other NSA activities, like how it's weakening encryption. All of this is on top of the NSA's collection of users' phone calls, emails, address books, buddy lists, calling records, online video game chats, financial documents, browsing history, and calendar data we’ve learned about since June. By contrast, thus far Congress as a whole has done little to help the public understand what the NSA and the larger intelligence community is doing. Even members of Congress seem to learn more from newspaper reports than from “official” sources. The editor of an influential Chinese newspaper in Hong Kong has been removed from his post amid worries about the future of press freedom in the former British colony. Ming Pao editor-in-chief Kevin Lau will now take up a new post at the group's e-publishing and education unit, a former journalist at the newspaper revealed on a popular news talk show. There are fears that Lau, who has edited the Ming Pao since 2012, is being moved as part of a "repositioning" of the paper, which is widely viewed as a good source of news on the inner workings of the ruling Chinese Communist Party. According to former reporter Vivian Tam, Lau will be replaced by a Malaysian journalist, management announced to staff on Monday. Sources at the newspaper said staff feared an all-round editorial shake-up, and that the paper's editorial independence would be affected. The Malaysian journalist believed to succeed Lau is currently living in Singapore and was previously chief editor of a Malaysian newspaper, the English-language South China Morning Post quoted sources at the Ming Pao as saying. While FIRE focuses on student and faculty rights at our nation’s colleges and universities, some cases in the K–12 context have the potential to affect our work as well. On December 27, a federal judge in Tennessee refused to throw out a First Amendment claim against a public school district that punished students for out-of-school social media posts. With many colleges striving to expand their jurisdiction over offenses committed off-campus, this ruling is a helpful affirmation that even K–12 schools—which may legally restrict student speech in a way that public colleges cannot—may not punish speech without actual evidence that such speech had an impact on the school’s activities or environment. This case, Nixon v. Hardin County Board of Education, began when two students tweeted at each other about a third girl, writing: “Good Luck. Shoot her in the face,” and “I hate her ... I’ll kill her.” Though the context of the comments (including some smiley faces) suggested the comments were not meant to be threats, the school principal told the girls that they would be “reassigned to an alternative school” for 45 days. A rare opportunity to change the path of copyright in Europe has emerged, but there's not much time to take advantage of it. The European Commission (EC) has opened up for public comment copyright policy across the European Union for the first time in 15 years. This means that, for once, students, artists, librarians, businesses, Internet users, and everyone in between will have an equal chance to influence future proposals for copyright legislation in Europe. The Commission's 80-question “Public Consultation on the Review of the EU Copyright Rules,” attempts to cover all areas of users' and creators' experiences. The survey was not widely publicized, and the Commission only gave 60 days (including the winter holidays!) for your comments. The final deadline is February 5th. Fight for the Freedom to Read with CBLDF in 2014! Roll up your sleeves! Join the fight! 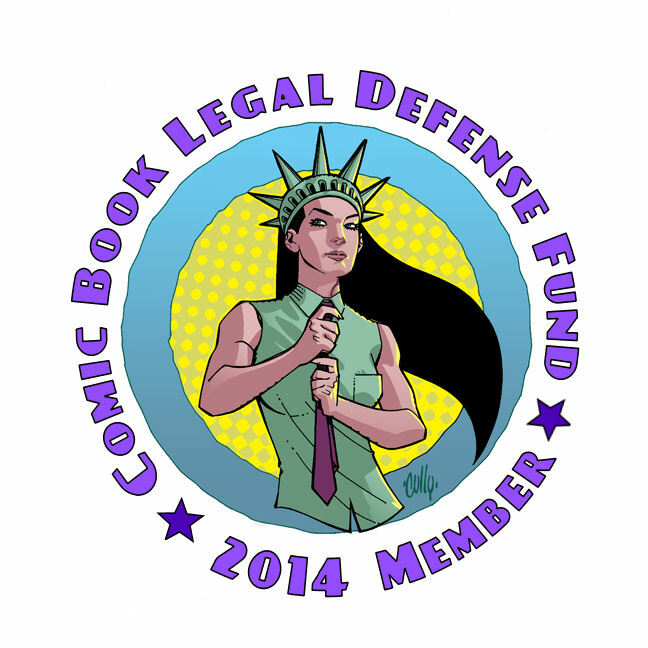 Joining the Comic Book Legal Defense Fund puts you on the front line of the fight against censorship! Your membership dollars provide the tools to fight back when comic book readers, retailers, and artists are muzzled, censored, or attacked! When you become a CBLDF member, you are proclaiming that comics are important and that you are a protector of their First Amendment rights! When you join CBLDF, we’ll thank you with the best incentives and benefits in the free speech community, starting off with a stunning membership card by fan-favorite artist Cully Hamner! Updating the classic Lady Liberty imagery with a subtle power and modern vision, this is a card that you’ll be proud to keep in your wallet. It is also your ticket to special events across the country, and it shows the world that you support free speech! An eloquent editorial penned by the editors of North Carolina newspaper The Wilson Times takes the state’s public colleges and universities to task for failing to respect student free speech rights. The editors note that FIRE recently named two North Carolina institutions—Appalachian State University and the University of North Carolina at Chapel Hill—to our annual list of the nation’s “Worst Colleges for Free Speech.” The editors point out that, unfortunately, these two schools aren’t outliers: Five North Carolina colleges earn “red light” rankings in FIRE’s Spotlight database for maintaining policies that clearly and substantially restrict protected expression on campus. When students spout racist, sexist or otherwise offensive diatribes, the solution is more speech, not less. Through spirited and vigorous debate, noble ideas prevail over narrow-mindedness and bigotry. Free speech is not the enemy of tolerance; it is an indispensable ally. 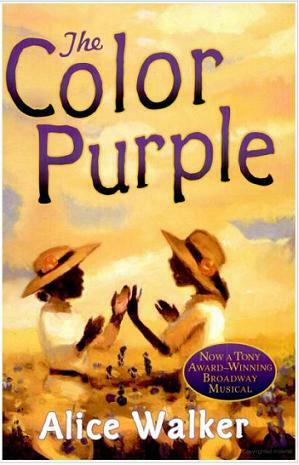 Throughout December, a parent in Brunswick County, North Carolina, waged a war against Alice Walker’s Pulitzer Prize winning novel The Color Purple. That war has been lost with the recent decision by the school board to retain the book in 11th and 12th grade advanced placement courses. CBLDF joined a coalition led by CBLDF-sponsored Kids’ Right to Read Project to send a letter in support of the book. CBLDF joins coalition efforts like this one to protect the freedom to read comics. Censorship manifests in many ways, and the unique visual nature of comics makes them more prone to censorship than other types of books. Taking an active stand against all instances of censorship curbs precedent that could adversely affect the rights upon which comics readers depend. Much of the debate over modern surveillance—including the NSA mass spying controversy—has centered around whether people can reasonably expect that records about their telephone and Internet activity can remain private when those records belong to someone else: the service providers. Courts have disagreed on whether the 1979 Supreme Court case Smith v. Maryland, which ruled people have no expectation of privacy in the phone numbers they dial, should be extended to cover newer, more invasive forms of technology. But a decision released on December 24th by the Ninth Circuit Court of Appeals looks at the issue from the point of view of businesses, providing a glimpse into how service providers and technology companies could challenge the government's unconstitutional surveillance. Yesterday, library officials with the Jones Library in Amherst, Massachusetts, refused to reshelve — and thus restrict access to — several Tintin titles after a group of parents filed a complaint about racist caricatures in the books. Jeannette Wicks-Lim of Belchertown Road said she and other parents recently became aware of these early- to mid-20th-century works because they are popular with grade-school children. 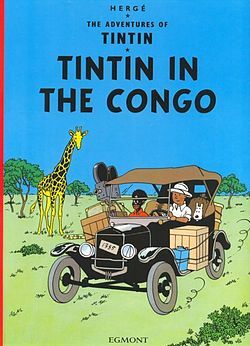 The parents maintain that some of the “Tintin” novels portray characters in a negative light and reflect imperial attitudes evident at the time. “The Tintin series has quite a reputation of racist imagery and story lines,” Wicks-Lim said. The parents did not call for the outright removal of the books, but they did ask that the books be removed from the children’s section and placed in less accessible sections with parental warnings about content.